Bjorn has over 20 years experience since graduating with a Bachelor of Laws in 1995 from the Faculty of Law at the University of Alberta where he was on the Dean’s List. 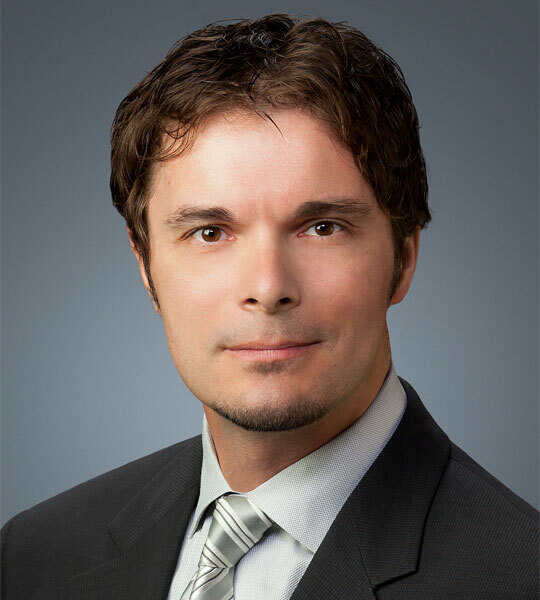 Bjorn’s legal experience began with articling at one of the top criminal law firms in Alberta in 1995 and 1996. Bjorn has successfully appeared before all levels of Alberta Courts, including Provincial Court, the Court of Queen’s Bench of Alberta and the Alberta Court of Appeal. The extensive level of experience Bjorn holds has given him expertise in the preparation and presentation of legal cases before the Courts of Alberta. In August of 2002 Bjorn joined the Immigration and Refugee Board (IRB) as a Refugee Protection Officer, working within Canada’s refugee determination system. Bjorn worked at the IRB for approximately 3 years, during which he gained in-depth experience and knowledge in the areas of administrative law and the refugee determination system. As a representative of the IRB Bjorn has appeared in hundreds of hearings. In February of 2005 Bjorn took a position as a Pre-Removal Risk Assessment (PRRA) Officer with Citizenship and Immigration Canada (CIC). As a PRRA officer Bjorn was a quasi-judicial administrative decision maker and one of the CIC’s departmental experts on risk. While working at the CIC Bjorn made hundreds of decisions on both PRRA and Humanitarian and Compassionate Grounds applications and gained an in depth knowledge of these applications. As a founding partner of Stewart Sharma Harsanyi (Alberta’s largest Immigration Law Firm) Bjorn works with his best friend and partner, Raj Sharma, and has practiced all areas of Immigration Law (from spousal sponsorships to economic class) and gained particular expertise in refugee claims, refugee appeals, Federal Court litigation and complex removal cases. Bjorn has over 25 reported cases with the Federal Court of Canada. Bjorn also specializes in criminal law and its interaction with the Immigration and the removal process. He has provided expert opinion to the Provincial Court of Alberta and has been a guest speaker at the Calgary Defence Lawyers Association and Criminal Trial Lawyers Association in Edmonton, the Canadian Association of Refugee Lawyers, the Alberta Law Conference – Criminal and Immigration Panel and the Canadian Bar Association National Conference. In the last 14 years years Bjorn has amassed substantial experience and knowledge of the Immigration Process in Canada, including its relevant procedures, applications and legislation. Bjorn prides himself on his ethical and intellectual dedication to the practice of law and to his clients. Bjorn firmly believes every client, no matter what their situation, is entitled to the highest quality of representation and respect. Bjorn fully appreciates the seriousness of the consequences, both professional and personal, involved in immigration files. Bjorn commits to all clients that if there is a way to win, he will find it.